Dan Nissen is a guiding light for any project that requires strategic thinking and a level head. He has mastered the art and science of forecasting in all areas of his life — even his family has a strategic plan. Dan’s penchant for data analysis and leadership, coupled with his upbeat personality, make him a triple-threat to any roadblock that stands in the way of strategic direction. An avid mountaineer, Dan has found that diligent planning and endurance in execution are as crucial to a project’s success as they are to a successful climb. He has applied that philosophy throughout his decade of experience in the healthcare industry, with roles in clinical operations, market analytics, project delivery, and strategy development and implementation at Oregon Health and Science University, Rush University Medical Center, Northwestern Memorial Hospital, and UW Health. 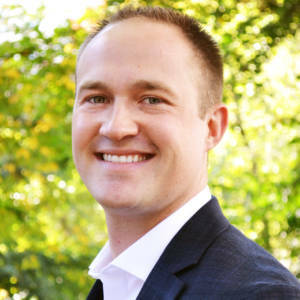 Dan holds a bachelor’s degree in economics and political science from the University of Wisconsin-Madison and a master’s degree in health systems management from Rush University. Prescription for life: Strive for balance — life should be fun, productive, and fulfilling.